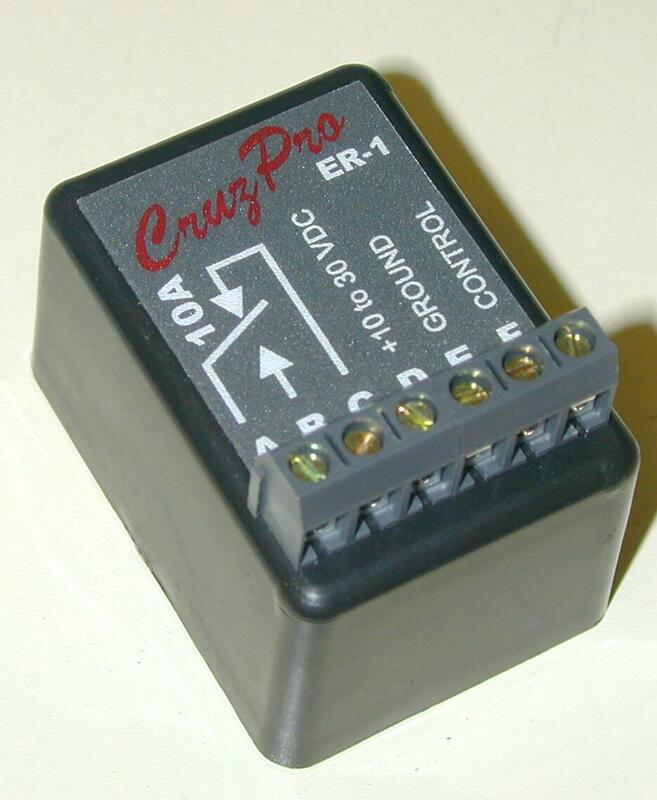 CruzPro ER-1 External 10 amp Relay Switch for CruzPro Instruments. CruzPro ER-1 External Relay switch enables you to switch ON/OFF loads of up to ten amps using the external alarm outputs of your CruzPro digital gauges. 10.0 to 30.0 VDC 0.035 amps max. Both NO (Normally Open) and NC (Normally Closed) contacts. Low power +3.5 to +12 VDC switches the relay ON. 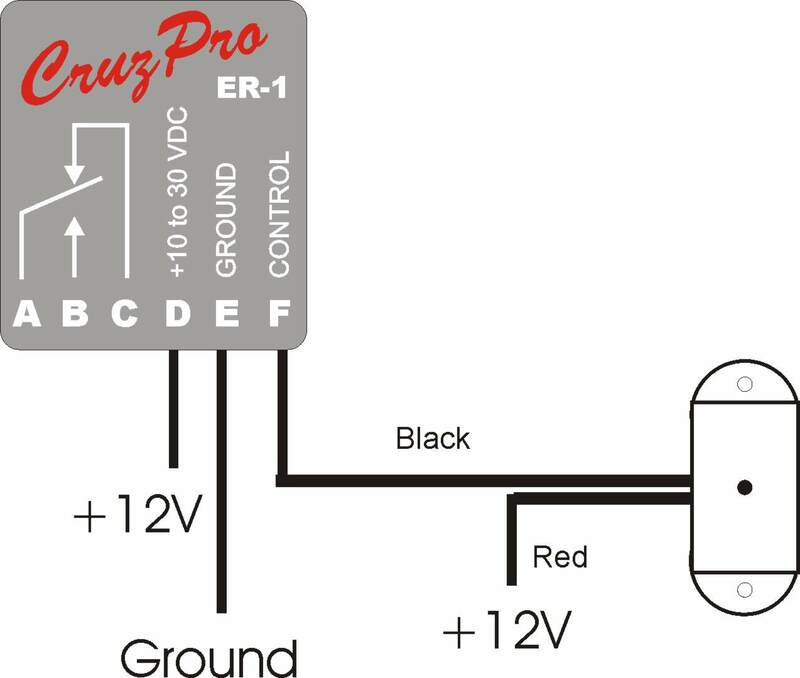 The ER-1 External Relay switch can be connected to the "external alarm" output of many of the CruzPro instruments and used to switch high current loads with the normally open and normally closed relay contacts. The input resistance of the control line is 10,000 ohms minimum and a Control voltage of between +3.5 to +12 VDC can be used to switch the relay from OFF to ON. The external relay switch is powered by 12 or 24VDC and typically draws only 0.035 amps when the relay is switched ON and almost no power when the relay is switched OFF.